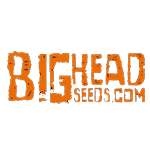 Big Head Seeds - Freeze Berry Auto. Free US delivery. Freeze Berry Auto is a strain where you can have your cake - and eat it too! Its other name is Blueberry Crumble because the Bighead x Blueberry combination produces sweet, resinous buds in a very short time (8 weeks).